The 19th Efort Congress 2019 will take place in Lisbon, Portugal, from 05 May to 07 June 2019. The main theme of the Congress will be “Innovation and new Technologies. 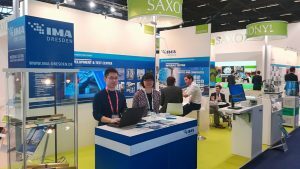 The 14th SAMPE CHINA will be held in Beijing from May 6 to 8, 2019, under the motto “Modern Materials Lead Green Industry Innovation”. The three-day exhibition and international academic conference will focus on the topic of advanced structuring of composites, stable raw material processing, tool design, manufacturing process, mass production and quality control, testing and characterization, assembly, sustainable development, current developments in engineering. The Control international trade fair for quality assurance, which will be held at the Stuttgart Exhibition Centre from 07 to 10 May 2019, provides suppliers and users with a globally recognised technical event which is focused strictly on relevant issues. The trade fair explores all pertinent aspects in theory and offers a highly practical presentation of current worldwide offerings for useful technologies, processes, products and system solutions in the field of industrial quality assurance. And thus the more than 900 manufacturers and distributors of QA equipment represented at Control make it possible for manufacturing companies and their suppliers to hone their competitive edge. The supplementary programme with world-class participants and the comprehensive exhibition and information portfolio will once again transform Stuttgart into the business Mecca of the QA industry in the spring of 2019. 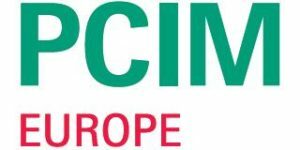 The latest trends, developments and brightest minds in power electronics – PCIM Europe Conference brings all on stage. 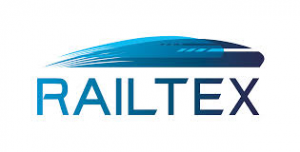 With a variety of CPD-certified seminars, discussion forums, and keynote speeches highlighting industry trends, Railtex provides a comprehensive insight into the developments and technologies of a fast-moving and ever-expanding marketplace. Almost 350 exhibiting companies will be out to demonstrate that their products are able to help with the ultimate aim of eliminating recalls. At the MedTech Summit 2019, medical technology meets innovations and pioneering Technologies. In scientific and market-relevant lectures, you will gain up-to-date insights into cross-technology approaches, industry trends and processes. Embedded in the program interactive and interdisciplinary elements lead you to new approaches. Meet business partners, ZfP experts and friends and find out about the latest developments in nondestructive testing. Discover Leipzig, a modern city with an exciting history. 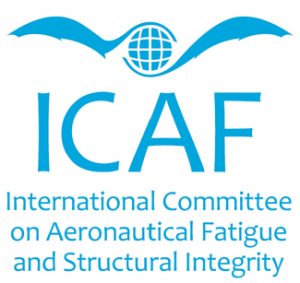 The two-day conference consists of assessments of flight fatigue activities submitted by the national delegates of the 17 member states of the ICAF. This is followed by the three-day symposium, during which specialist contributions by authors from the fields of design, production, airworthiness regulations, operations and research will be presented. The German trade fair perfectly reflects the state-of-the-art technology, the diversity and the innovative power of the market, along the entire life cycle of wind turbines. Of course, current political and technical topics, such as the course of EEG funding, are on the Agenda. In the coming year, the Great Welding Technology Conference and the DVS Student Congress will take place from 16 to 17 September 2019 at the Graf Zeppelin House Culture and Congress Center in Friedrichshafen. The Lake Constance region has more than a century of aviation history and space travel has played a crucial role here for more than five decades. The Lake Constance district is one of the most innovative and economically strongest regions in Europe today, thanks also to the aerospace industry. The Metallographic Conference is a scientific congress that covers a wide range of topics from all areas of materialography and takes place annually. The 51st Metallographic Conference will take place from 18 to 20 September 2019 at Dresden and will feature an industrial exhibition, workshops and an interesting program of visits to regional companies. The conference will take place on 24 and 25 September 2019 in the Deutsches Hygiene-Museum in Dresden. The importance of durability in the design and safeguarding process of machine components has continued to increase in recent years. Especially in the field of vehicle construction, this is clearly felt due to the lightweight construction activities and the increased use of calculation methods. The DVM working group on durability, which has been in existence since 1976, takes full account of this trend. eMove360° Europe 2017 is the world`s biggest B2B trade fair for Electric Mobility and Autonomous Driving, the Mobility 4.0. 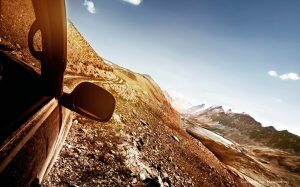 It presents the complete range of next generation and sustainable mobility solutions, from Urban & Mobile Design, materials and processing solutions, connected and autonomous driving to electronics and infotainment. Target audience of the exhibition are developers and designers, IT professionals, professional industrial buyers such as fleet managers, decision-makers in cities and communities, touristic regions and service providers. 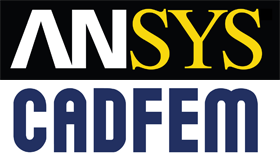 The CADFEM ANSYS Simulation Conference is the annual event where many users come together and learn from each other. Also, they can enjoy further education and connect with other professionals at the conference. The HärtereiKongress is the largest industry meeting for the heat treatment industry in Europe. As a symposium with top-class program and a renowned trade fair, the HärtereiKongress combines knowledge and practice in a unique way. Each year about 500 professionals attend the congress. This year again more than 200 companies from Germany and abroad presented themselves at the exhibition. Use this forum for an optimal presentation of your company and for a professional exchange. 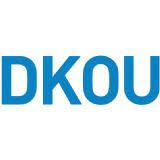 The German Congress of Orthopedics and Traumatology (DKOU) is the most important conference in its field, with more than 11,600 participants. At the world’s leading trade fair for agricultural technology, all the leading companies in the industry present their innovations and innovations. AGRITECHNICA is the showcase of the global agricultural engineering industry and a forum for the future of plant production. 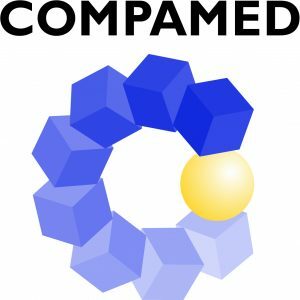 The COMPAMED 2018 is the meeting place for suppliers to the medical technology industry. Manufacturers of medical equipment and products are also on the way here, looking for new components for their products. We asked some visitors and exhibitors what they thought about the COMPAMED 2018. SPS IPC Drives is Europe’s leading trade fair for electrical Automation. Meet the automation providers from all over the world in Nuremberg. Inform yourself here about products, innovations and trends in the industry. Trade fair and congress offer you the perfect platform for the search for the right solutions for your automation Tasks. The International Rail Vehicle Conference has been held regularly since 1996 at a rate of one and a half years in Dresden. The Faculty of Mechanical Engineering of the HTW Dresden, the Faculty of Traffic Sciences “Friedrich List” of the TU Dresden and the DVV Media Group GmbH | Eurailpress Hamburg. The IFAT is a trade fair for water, sewage, waste and raw materials management and takes place every two years at the exhibition center in Munich. With over 3,000 exhibitors from 59 countries and around 135,000 visitors from all over the world, the trade fair has established itself as the leading event in the environmental technology industry. 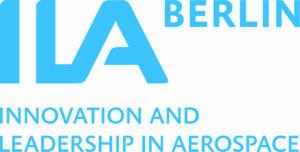 In May 2019, ILA Berlin is pleased to welcome the aerospace world to Berlin. We invite you to join us at this high-tech event, where you can. When technical textiles meet with lightweight construction, then there is time again for the exhibition double mtex + and LiMA. 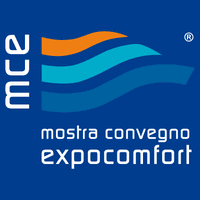 The trade fair duo mtex + and LiMA are compact, intensive and international. 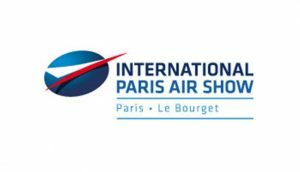 Discover a range of new business incentives, attractions and networking opportunities at FIA2020. With key global influencers, thought leadership and knowledge transfer, FIA offers the very best value and experience for your business. Automechanika Frankfurt is the world’s leading trade fair for the automotive service industry. In 2020 the biennial trade fair will be celebrating its 25th anniversary with a host of new themes and REIFEN as a co-located show. InnoTrans, International Trade Fair for Transport Technology. With InnoTrans the city provides a platform for domestic and international supply and demand in the fields of passenger and goods Transport. 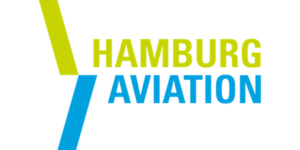 WindEnergy Hamburg gets things moving. People, companies and industries. Firstly because it presents the entire wind energy value chain. And secondly because it is a major driving force. 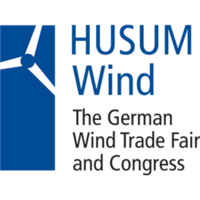 Immerse yourself in this inspiration and networking centre of the wind industry, and experience the world’s leading wind industry for yourself. ALUMINIUM is the world’s leading trade show and B2B-platform for the aluminium industry and its main applications. It is THE must-attend event for the aluminium industry and a powerful sourcing platform by uniting producers, processors and also end-consumers as well as technology suppliers. ALUMINIUM is showcasing international innovations from the entire value chain. The IZB is Europe’s leading trade fair for the automotive supplier industry and represents the entire automotive value chain. The IZB is a major gathering for decision-makers in the industry, is a top marketplace for pioneering innovations and offers a comprehensive and sophisticated programme of accompanying events. Electronica, the World’s Leading Trade Fair for Electronic Components, Systems and Applications. The entire electronics universe at a single location.